It’s that time of year again: the lazy days of summer are drawing to a close, and we’re eagerly awaiting the arrival of pumpkin spice lattes and cable knit sweaters. But why not enjoy those last few weeks of summertime while they’re still around? We’ve gathered up some of our favorite tips and tricks for throwing an end of summer pool party that’s absolutely EPIC! If you’re gonna throw an amazing summer pool party, you’ll need to make it look stunning. Some of our favorite themes include flamingos, pineapples, or a tropical luau or boardwalk theme – so many different possibilities! If you’re on a budget, add a little POP with some multi-colored pool floats and pool noodles – you’ll get a rainbow of fun colors without spending very much money. 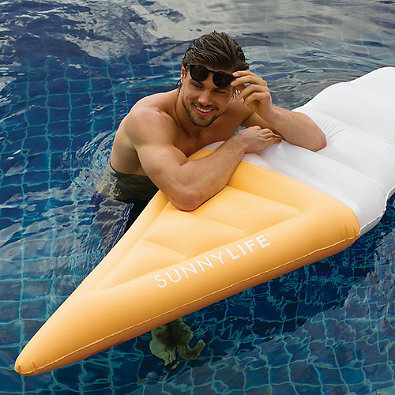 You can even buy pool floats in custom shapes to fit your chosen theme, like gummy bears, stars, or unicorns! 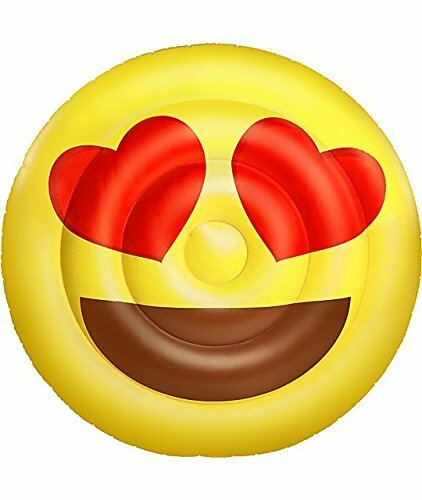 Some of our favorites include this ice cream-shaped pool float from Bed Bath & Beyond, and this heart eyes emoji pool float you can buy on Amazon. 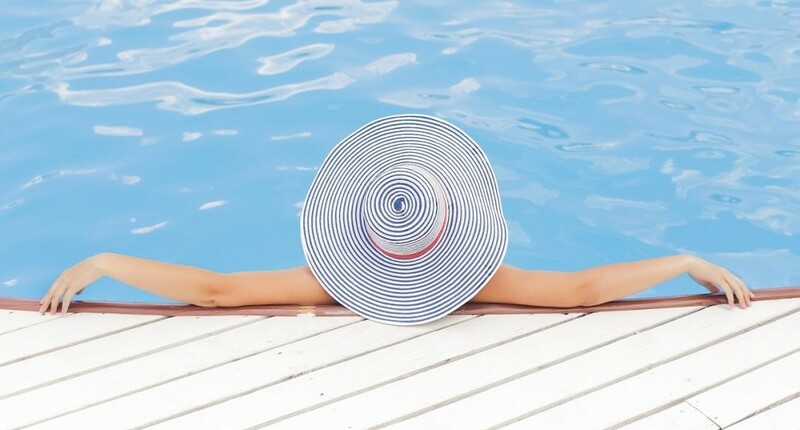 If pool floats aren’t exactly your thing, we’ve got a few more cute decor ideas for you. How about hanging some paper lanterns or lights, or even try making a giant backyard movie screen using a projector and a sheet of white canvas? Check out our summer DIYs article from July (link) for some really cool decorations that you can make for your pool party, including cotton candy string lights and a homemade beach ball garland. Can you say awesome? Now we’ll get to the good part – the FOOD! Once your decor dilemma is settled, you’ll need to plan the perfect menu for your guests. Start your party out right with an assortment of chips and dip, like a classic bowl of tortilla chips and guac, or potato chips with French onion dip. 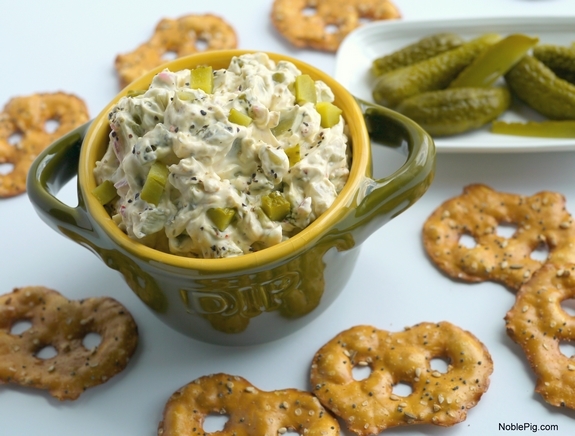 We’re seriously loving this recipe for dill pickle dip from Noble Pig, which pairs perfectly with pretzels. What a great idea for a boardwalk-themed pool party! 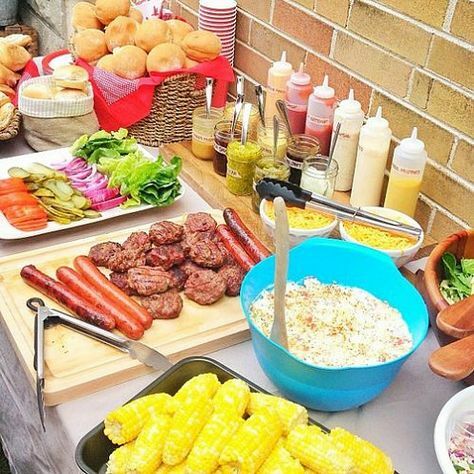 For the main course, a DIY burger bar is the way to go. Grill up some patties (or portabella mushroom caps for your vegetarian friends) and serve them with a table full of your favorite fixings, including assorted cheeses, sauces, condiments and veggies. This article from Jan Scott at savvymom.ca tells you just how it’s done! Looks delicious, doesn’t it? Last but not least, you’ll want to serve a dessert that will have your guests coming back for more. 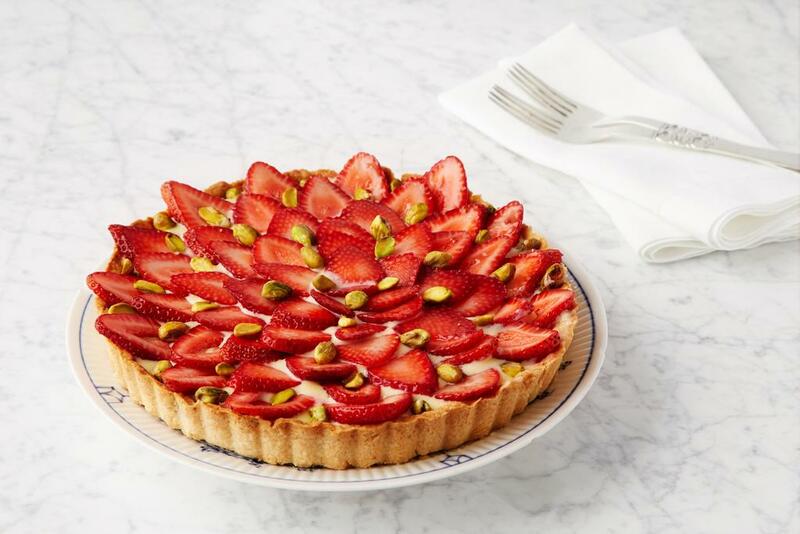 Since strawberries are still in season, why not whip up a homemade Strawberry Tart with crunchy pistachios and authentic pastry cream, all laid out in a delicious crust? For a fun twist, serve it à la mode with a scoop of ice cream – we suggest pairing your Strawberry Tart with either vanilla, pistachio, lemon, or honey lavender. YUM. With all these tips and tricks, you’ll be well on your way to throwing the best pool party of all time. What a great way to end the summer season!